"Surely the day is coming; it will burn like a furnace. All the arrogant and every evildoer will be stubble, and that day that is coming will set them on fire', says the Lord Almighty. But for you who revere my name, the sun of righteousness will rise with healing in its wings. And you will go out and leap like calves released from the stall. Then you will trample down the wicked; they will be ashes under the soles of your feet on the day when I do these things,' says the Lord Almighty. 'Remember the law of my servant Moses, the decrees and the laws I gave him? See, I will send you the prophet Elijah before that great and dreadful day of the Lord's coming. He will turn the hearts of the fathers to their children, and the hearts of the children to their fathers; or else I will come and strike the land with a curse." These last verses of the Old Testament are filled with hope. remember God is in control of the future. in reverence to God, we have trusted Him. FYI - with Malachi's death, the voice of God's prophets would be silent for 400 years. Then a prophet would come, like Elijah, to herald Christ's coming. 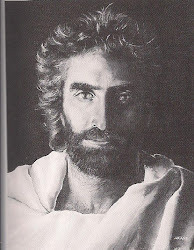 This prophet was John the Baptist.